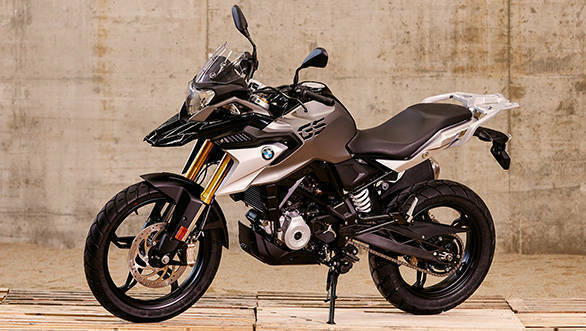 BMW Motorrad finally confirmed yesterday that the two smallest motorcycles they make, the BMW G 310 R and the BMW G 310 GS is under homologation right now and will be launched in the second half of 2018. BMW Motorrad will also become a more public company with a public presence at shows and events this year as well as at the 2018 Auto Expo in Delhi. But there's more to the story than just the 34PS single and the TVS-BMW arrangement. Here's a quick roundup of all the interesting G 310 R and G 310 GS tidbits we heard at BMW Motorrad's preview event in Munich. "There is no a-bike or b-bike"
Karsten Konductorow, director production planning and sits at the top of the production and sourcing chain and it was his job to set up the production process at TVS and at the various suppliers BMW and TVS will use for the BMW G 310 R and GS. He noted that while Indian manufacturers tended to take a more clever view of product quality for Indian market products, BMW Motorrad's quality policy was for the 310s to be of one quality for the world. Inasmuch, he reiterated that there is no export and domestic model. TVS makes one R model and one GS model and these will be exported to all BMW Motorrad markets as well as sent off to BMW's Indian showrooms once the launch happens. Karl Viktor Schaller is the head of development at BMW Motorrad and he says that the average product development cycle is 36 to 43 months at BMW. Of this roughly 11 months is just the process of setting up tooling and orders for new motorcycles at the suppliers! But he, as well as Konductorow, were surprised at how TVS tests their motorcycles versus their established BMW Motorrad test cycles. BMW Motorrad's motorcycles are tested over 1 lakh kilometres with the usual loads - 2 people and luggage if applicable. They noted that TVS tests for 3 people - since this is a use pattern in India - and some of the tests have bigger loads as well as more severe parameters thanks to our road conditions albeit TVS's test cycle distance is actually shorter than BMW Motorrad. Obviously, now that we have seen (at least) two BMW models and are now expecting the first of the TVS versions from the platform to arrive in November 2017, the questions turn to the future. Dimitris Raptis, the head of BMW Motorrad sales regions Asia, China, Pacific and South Africa, categorically stated that the current agreement between TVS and BMW was only for the 310cc platform. Whether there was a future arrangement or not - we would bet that there is - was not something BMW Motorrad could comment on, future products neither. Once Konductorow reiterated the single quality policy at BMW, he further explained that this does not mean the 310 GS, for example, will be the same quality as the 1200 GS. Oh? Well, the quality goal for the 310 is a global intent and all markets, outside of local regulatory needs - like front numberplates and saree guards for India - are going to receive identical machines in spec and quality. This is true of the German-made 1200 GS as well. However, if you were to examine the 1200 and the 310 part for part, the 1200s loftier price and performance would bring parts made with even closer tolerances, using even higher grades of metallurgy. The R was designed to have the same cues as the S 1000 R. The GS has the same cues as the R 1200 GS. Edgar Heinrich is the head of BMW Motorrad Design and he was at Bajaj for a few years during which motorcycles like the Pulsar 200 NS were drawn. Commenting on the design Heinrich broke the design down into the basic proportions and elements derived from the use and appeal goals and then, the 'jewellery' - the little bits that complete the idea of the motorcycle. Like the kind of footpegs used, for instance. In the case of the G 310 R, the clear intent was to make a mini-S 1000 R. Obviously, the assymetry of the big sport-naked doesn't reach the G 310 R but if you see both of the motorcycles in the same colour, you will notice that panels in bright and dark colours are very similar in nature and location. 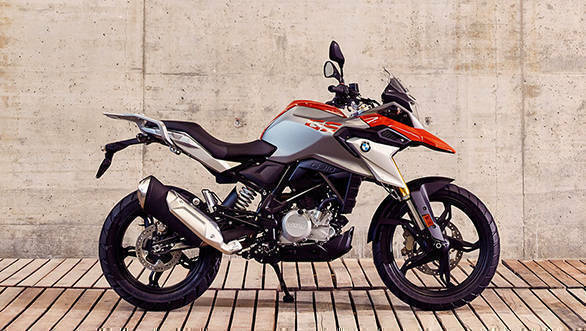 The G 310 GS, similarly, is modelled on the R 1200 GS and again, offers the mini-me version for the big BMW. Arguably, the look and quality of the GS certainly looks like BMW Motorrad nailed it. The G 310 R's price is going to be premium - in the KTM 390 Duke ballpark. The GS will be more expensive. Raptis and Timo Resch head of sales and marketing, BMW Motorrad, both answered, for the first time, questions about the pricing strategy for the G 310 R and the GS. BMW Motorrad, they said, was a premium brand and the perception of it being aspiration and premium was central to the pricing strategy. There has been a realignment from it being an exclusive premium brand to a more inclusive premium brand in the recent years though. With that in mind, the R and the GS will be priced at a premium. Raptis made the most direct statement saying that the KTM 390 Duke ballpark (Rs 2.7 lakh on-road Mumbai) would be the aim. Our sources, however, still believe a price north of Rs 3 lakh is in the offing. The GS is roughly Euros 1,000 more expensive than the R in most markets and the BMW Motorrad said the gap would be similar. We believe that the gap in India will be Rs 30-40,000 to the GS and not the Rs 80,000-odd that the Euro figure suggests. That means our estimate would be Rs 2.8-3.0 lakh for the BMW G 310 GS and Rs 3.2-3.5 lakh, both on-road Mumbai, for the BMW G 310 R when it goes on sale in the second half of 2018. The ergonomics will change your mood. The R is a more aggressive sporty riding position but the GS is upright and relaxed. I asked Heinrich what would be the one thing he would explain about the difference between the two motorcycles to Indian riders who are still 12 months, give or take, from riding the G 310 R and the GS motorcycles. He said that the while the two motorcycles are identical in most ways apart from suspension and styling, they feel very, very different to ride. Why? "It's how you sit on the motorcycle", he explained. "How you sit is a big part of how the motorcycle feels to ride." He further explained that the G 310 R seats you in a slightly aggressive, hunched over the bars sort of posture that urges you to open the throttle more and ride harder. The G 310 GS, on the other hand, sits you upright and you feel more relaxed and as if you will cover great distances on it. A combination of Konductorow, Viktor Schaller and Raptis spoke about how the G 310 R and the GS bits are sourced for the Hosur plant. Over 90 per cent of the motorcycle is sourced from Indian suppliers. Konductorow says BMW officials have worked with each and every one of them to upgrade machinery as well as skills to get parts that match BMW's quality requirements. The rest of the 10 per cent are sourced from other places, mostly Asia but a few crucial bits, including specific bearings for the engine come from Europe.